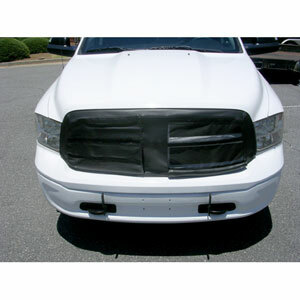 Add this winter front/bug screen to your Ram 1500 EcoDiesel truck and have the best of both worlds. When it's rolled down, it serves as a winter front. When it is rolled up for warmer weather it acts as a bug screen to help keep the radiator clean for cooling. "I just made another purchase from Geno's Garage. I needed help choosing the best headlight assembly for my truck. Scott (again) was very helpful with his personal knowledge on the subject. Kudos to Scott!"